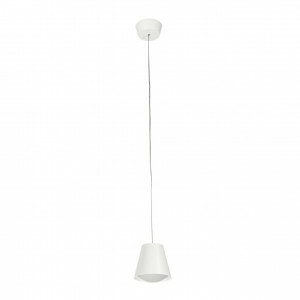 Designer lamp with painted aluminium frame in white and grey finish. 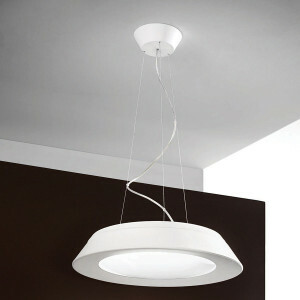 Pressed glass diffuser in satined white finish. 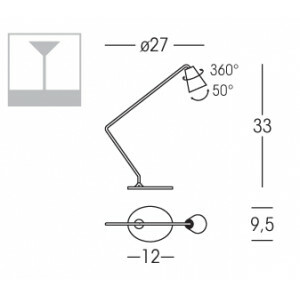 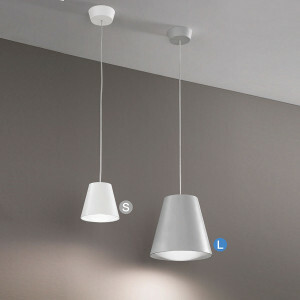 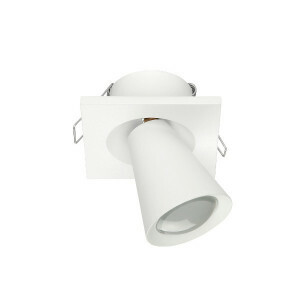 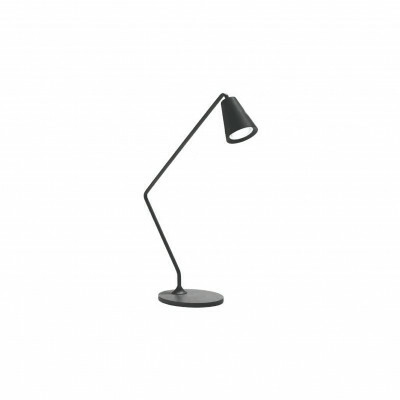 This modern lighting fixture has adjustable light diffuser, and is ideal for the office or the living room. 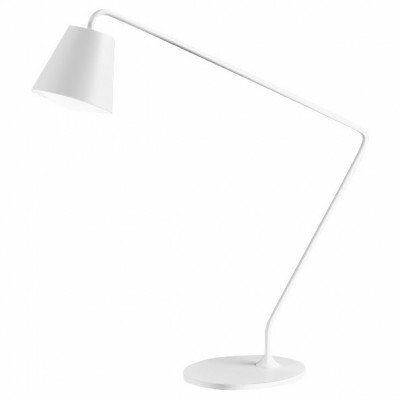 Led lighting lamp.